Learn More About Teeth Whitening in Burlington Today! Black coffee, dark chocolate and ripe, flavorful berries… some of life’s greatest pleasures are also the biggest offenders when it comes to staining your pearly whites. As we age, teeth whitening becomes crucial to maintaining a beautiful, dazzling smile. This may not mean you have to invest in a teeth whitening treatment (though that can be a good idea, too) because there are some steps you can take to naturally brighten your smile, just in time for the holiday season. Learn more about your options for teeth whitening in Burlington from Complete Dental Care today! There are some do’s and don’ts when it comes to brightening up your teeth. Keep the following things in mind at home and at the grocery store and you’ll be on your way to whiter teeth, naturally. Eat a wide variety of foods, including fresh fruits and vegetables. Maintaining a balanced diet isn’t only good for your overall health. Dr. Kostas says it’s also crucial for oral health. And adding lots of fresh fruits and vegetables, like apples, broccoli and carrots, can actually help remove surface stains and plaque. Rinse with water after consuming dark or acidic foods and beverages. This habit goes far in removing the destructive acids and staining agents that are left behind after eating things like fresh oranges, chocolate and dark beverages. This trick can also help prevent acidic decay of your enamel! Maintain excellent oral hygiene. Of course, white teeth should also be healthy teeth. Make sure you’re practicing excellent oral health habits, including brushing for two minutes, twice a day, flossing once a day and visiting your dentist every six months. Don’t brush with baking soda. Many online sources will tout the benefits of the common household cleaner in tooth whitening — but leave this abrasive for the toilet bowl. Over time, brushing with baking soda damages and eventually darkens teeth by eroding tooth enamel. Don’t assume white teeth are healthy teeth. While the two usually go together, even super white teeth are not immune to tooth decay and other oral problems. A good oral hygiene routine should always be maintained for optimal tooth health. If your teeth need a little more help than a natural remedy can provide, you should seek a professional solution. We know an over-the-counter, one-size-fits-all whitening treatment can be tempting, but we encourage our patients to trust their teeth to the dental team that knows what’s best. At Complete Dental Care, we offer in-office and at-home whitening treatments. We also have some great specials just in time for a bright holiday smile! 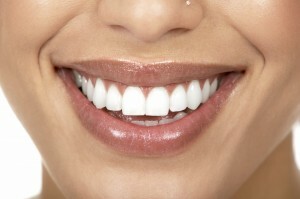 HOLIDAY SPECIAL: Two-hour in office Zoom whitening PLUS take home custom trays with whitening gel for $287.00! HOLIDAY SPECIAL: Whitening refill packs for take home whitening and trays. Two-hour in-office Zoom Whitening for $199.00. In just one visit, you get the most advanced whitening technology. With Zoom in-office, teeth can be up to eight shades whiter in just 45 minutes! Take home custom trays with whitening gel for $199.00. At-home whitening treatment: For patients who prefer the convenience of whitening at home but want something stronger and more effective than an over-the-counter solution can provide, at-home whitening treatments from Complete Dental Care can be the perfect option. To schedule your appointment for teeth whitening, call Complete Dental Care in Burlington, MA today! We also serve the surrounding areas of Wilmington, Billerica, Woburn, Lexington, Bedford and beyond. Comments Off on Learn More About Teeth Whitening in Burlington Today!